It is a special privilege for me being allowed to write some words on NIGHTWAV’s epic super sampler: “NIGHTWAV – A Synthwave Compilation” coming out on Lazerdiscs Records on April 13th 2018. 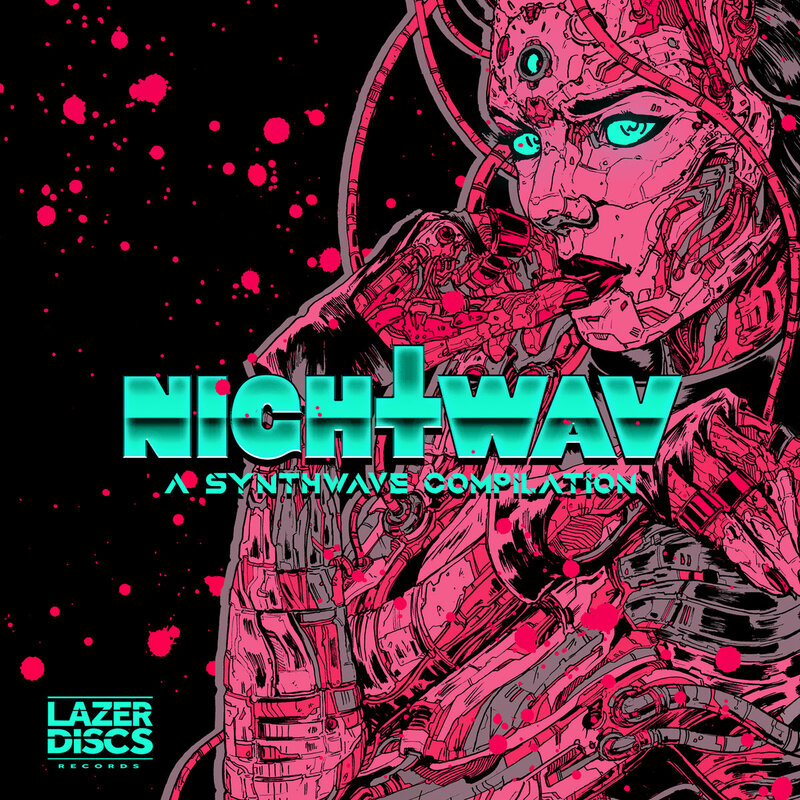 The album features 16 songs highlighting NIGHTWAV’s “favourite underground Synthwave/Darksynth, artists/tracks” and, apart from delivering a wonderful listening and synth energy experience per se, sheds light on various musicians of the scene who – for now – represent an original, non-commercial, underground and avant-garde wing of steel. The 16 tracks grab you by your ear-pussies one after another and it is indeed a real roller coaster of synthwave, darksynth, outrun and industrial-flavoured hard-tech electro. From the mighty Robert Parker, a highly productive and successful superstar of the scene, to many more fan favourites such as Absolute Valentine, Lazerpunk, Neoslave or Occams Laser, the album keeps on blazing from start to finish. Each track has a very distinctive attitude and style – this album cherishes the individualism of each featured artist. You will come to experience everything that NIGHTWAVs favourites have in store for you – from the driving vintage disco vibes of Robert Parker’s “Disco Death”, to the raw power of Absolute Valentine’s “Extreme Drift”, to the authentic outrun chills of Sung’s “Way Farer” to some intense shredwave monster lead guitar in “Nitronaut” by Isidor & Ultraboss. Don’t hesitate to purchase this Sampler and support NIGHTWAV and all the featured artists – you won’t be disappointed.